This was good, but the crab cake was kinda small and it look pretty lonely on that big plate. (Who would eat that much aioli with a single, tiny crab cake anyway?) The apple fennel slaw was nice and refreshing though. 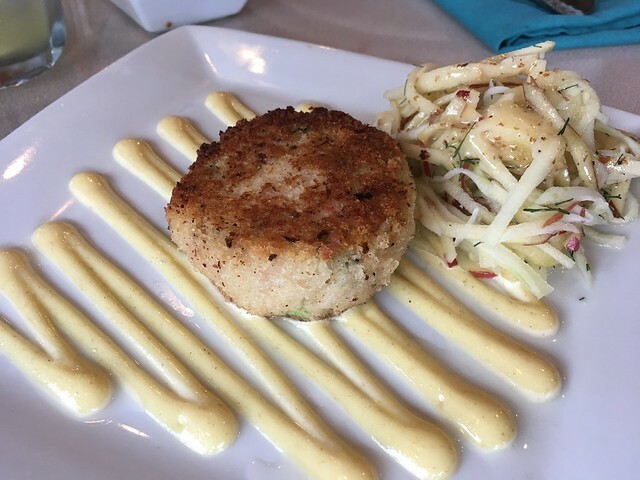 This entry was posted in Arnies Restaurant and tagged crab, crabcake, food, happyhour, seafood by vicentesf. Bookmark the permalink.